Great article in the St Louis Business Journal about Circa Properties’ 2nd office that just opened up in St Louis City in the Tower Grove South Neighborhood! 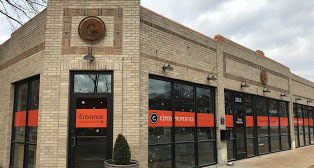 Circa Properties 3353 Roger Place St Louis MO 63116 now joins Circa Properties – Webster office 601 Lockwood St Louis MO 63119. Both are awesome spaces to work and do business in.